Board members ensure the proper functioning of the organization and guide strategic orientations. They supervise the work of the permanent executive director. 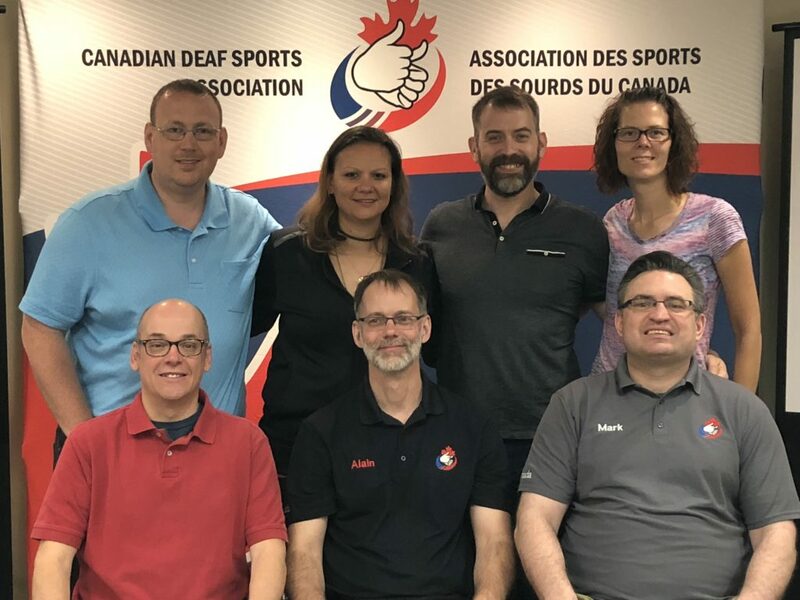 2018-19 Board of Directors. Top left to right: David Joseph (Treasurer), Shawna Joynt (Director), Francis Roussel (Director), Nyla Kurylowich (Female Athlete Representative). Bottom left to right: Donald Prong (Director), Alain Turpin (Executive Director) and Mark Kusiak (President). (*) These members participate in Board meetings and can express their opinions, but have no voting rights. The CDSA has established the mandate of each committee and a policy on this. Read the policy.